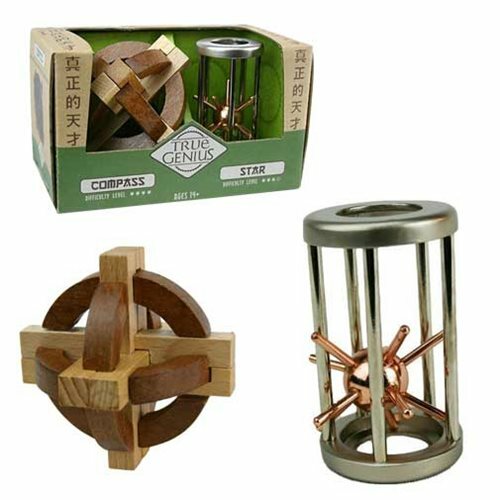 The True Genius Compass and Star Puzzle 2-Pack includes 2 brain challenging puzzles. This is the perfect gift for the genius in your life that's looking for a little direction! Ages 14 and up.